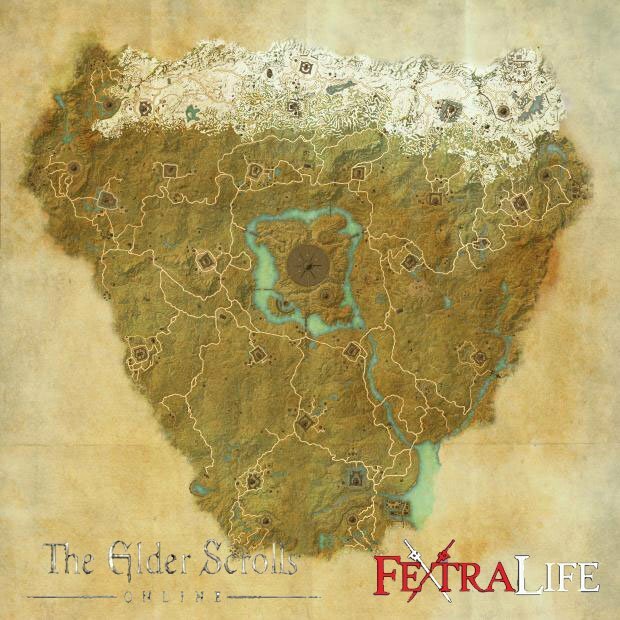 Cyrodiil is a Location in Elder Scrolls Online. 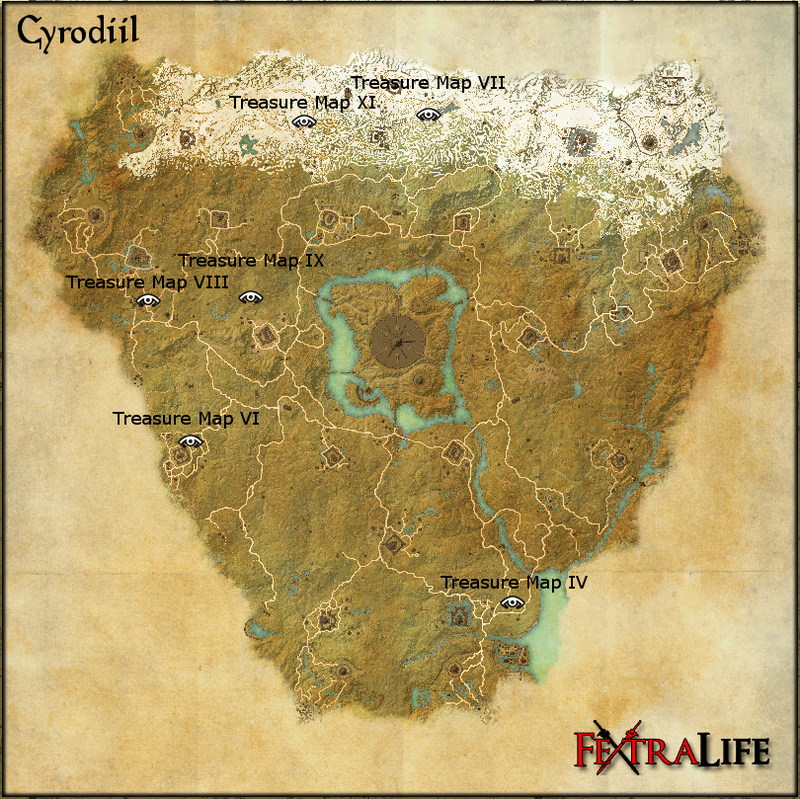 Cyrodiil lies at the center Tamriel, and is the home province of the Imperials. The Imperials stand alone in the Alliance War and are only playable by pre-order. 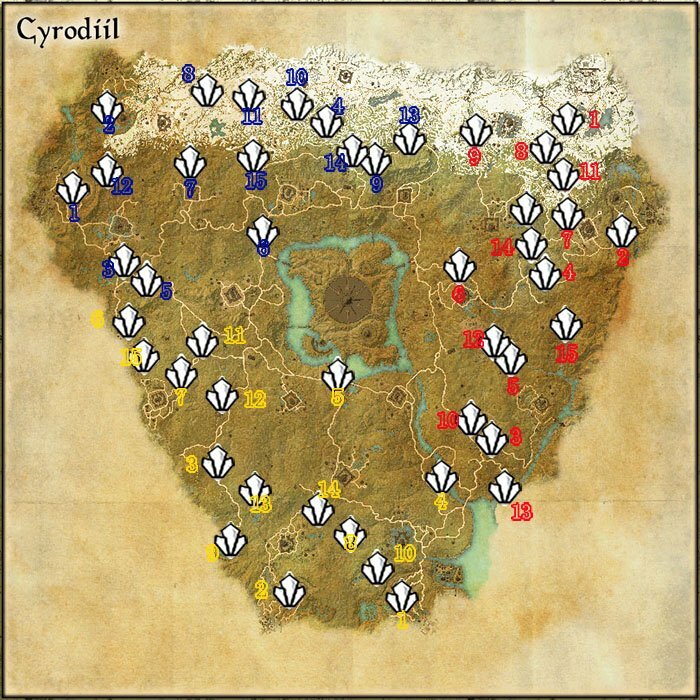 Cyrodiil's core houses the Imperial City, which is set on a large Island. 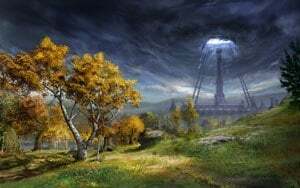 The central area of Tamriel has varied landscapes featuring farmland, forest and swamp as well as outlying mountains. As the alliances war for control of Tamriel Molag Bal will use the Dark Anchors to attempt to send the world towards Coldharbour. 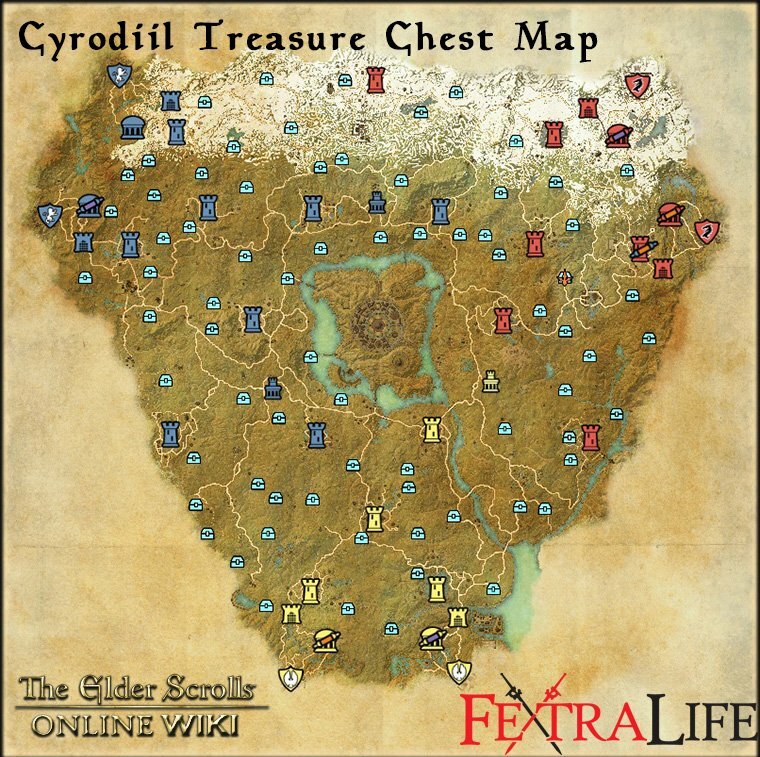 No treasure chest loactions map, please add it! So this page is way way outdated and needs a massive update to it.